Such a beautiful piece about teaching — as I start my own journey of teaching, many of these thoughts are in my mind. Wonderful read, wonderful to contemplate as I continue on. I never really thought having numbers and letters after your name was a big deal… Ph.D what?! Woohoo 🙂 Check out my YA profile and then come check out one of my classes in Coleman or Traverse City! Click the flyer image to register online today! I’m no longer teaching regularly-scheduled classes in Traverse City as I’ve now relocated to Midland, MI. However, I WILL BE IN TRAVERSE CITY leading an Ashtanga workshop on July 24-25 at Shanti School of Yoga on S.Airport Road in Logan’s Landing. This workshop will focus on an Introduction to the Ashtanga yoga philosophy and method, the breath and bandhas (internal energy locks), keys to the sun salutations, and a bit on backbending and inversions. 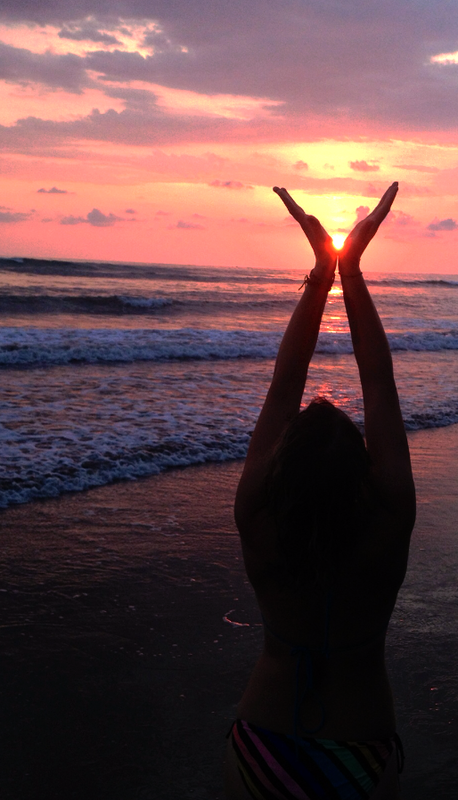 The natural flow of energy at Shanti will help guide your practice into a perfect place for positive transformation. Shanti is a beautiful place to practice — the main studio has wood walls and a pyramid shape that opens to a skylight above (seriously, it’s magical). This all sets the most serene scene in which one can peacefully begin or continue one’s personal practice with inspiration and natural, positive energy. I’m so so sooooo honored to be sharing my own practice with others, starting with a Vinyasa-style class on Monday mornings this summer. Join me for a beginner-intermediate level class that will bring awareness to the breath, the body, and the health of our minds and spirits. 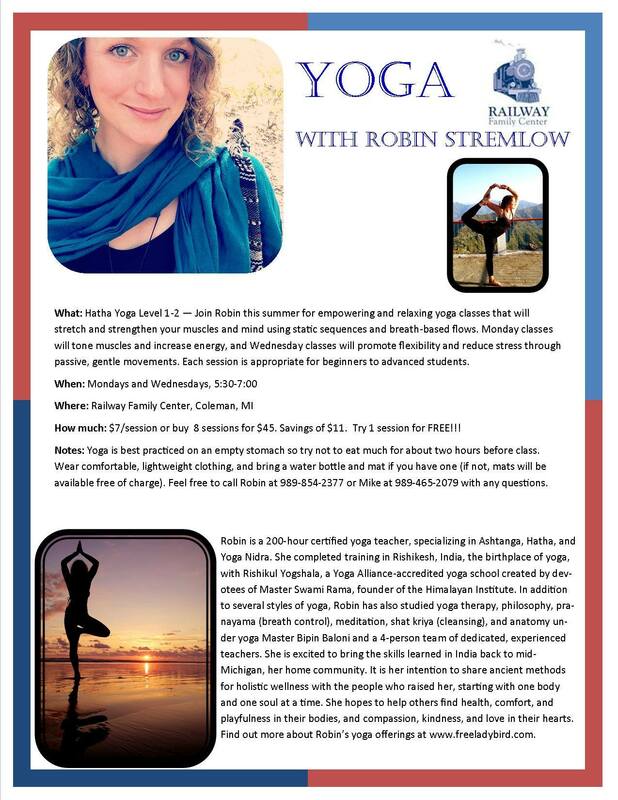 If you’ve ever been curious about yoga, or have tried it before but drifted away from your mat, I’d love to have you join us for a summer yoga series appropriate for beginners or advanced students. On Mondays, join us for energizing and empowering classes designed to stretch and strengthen! This will be a blend of flows with balancing, seated, and lying static postures. FIRST CLASS IS FREE! After that, pay only $7 a session (you won’t find drop-in classes this affordable anywhere else), or buy 8 sessions for only $45! Namaste, beautiful souls! I’ve just returned to the United States after spending 10 weeks abroad in India and Nepal where I immersed myself in the beautiful, powerful world of yoga and in the sights, sounds, and sweet flavors of these truly spectacular places. In April, 2014, I completed a 200-hour teaching training program in Rishikesh, India with Rishikul Yogshala, a Yoga Alliance accredited yoga school focusing on Ashtanga, Hatha, Kundalini and Nidra yoga disciplines taught in the classical Indian method. In addition to these forms of yogasana, I am experienced in pranayama (breath control), meditation, shat kriya (cleansing), and have studied yoga therapy, philosophy, history, and physical anatomy. I’m blessed to have studied under yoga Master Bipin Baloni and a team of dedicated, experienced teachers. I then traveled to Pokhara, Nepal with Rishikul Yogshala and assisted in a 200-hour teacher training program. I provided hands-on adjustments in Hatha and Ashtanga yogasana classes, and taught six Sanskrit classes focusing on prayers, mantras, and posture names and translations. I also taught morning drop-in classes to travelers in the area, with each class tailored to the students’ ability and expectations. Now that I hold a teaching certification, I am excited to bring the skills learned in India back to Michigan where I’ll share my six years of practice with you, my home community. In addition to guided instruction and hands-on adjustment, I will share Indian yogic wisdom and philosophy for living a more peaceful, happy life, and my own thoughts on finding and maintaining your bliss. In my heart, I know that this practice can provide hope and peace to our communities, and it is my sincere desire to bring lasting, positive change to the area, starting with one body and one soul at a time. Regardless of your physical limitations or financial situation, yoga IS for you. I will do my best to make it accessible and useful for each student who practices with me. Classes in your area, designed for you! I am now offering private and small-group yoga instruction in the mid- and northern Michigan areas. Personal instruction is a great option for anyone, regardless of experience or fitness level. Before the class, I will discuss your expectations and needs and design a class specifically for you. If you’d like to do virtual classes via Skype, we can do this, too! These classes can be held in the comfort and privacy of your own home or workplace. Let’s talk about your needs and our location options! The cost will depend on the number of students and your location. Regularly scheduled drop-in classes will be available in Midland, Bay City, Mt. Pleasant, Coleman, and Traverse City. I will offer classes for every body and level, ranging from beginners yoga and gentle class options, to intermediate and advanced vinyasa flow classes and a full, 90-minute traditional Ashtanga primary series. I also will include meditation, pranayama, and intentional relaxation into each class to provide a comprehensive session that will work on your mind, body, and spirit to promote health, peace, and happiness. Dates and locations to come —- let me know if you’re interested and I can schedule these based in part on your schedule! Your first class is only a $5 suggested donation, and then follow-up classes will be offered for a series cost or a drop-in donation (suggested amount depending on length of class and location). I will also be guiding classes at studios in the area (detailed schedule to come), and the cost will vary based on each studio’s policies. For more information, please call or message me at 989-854-2377, or shoot me an email at robinstremlow@gmail.com. Dancing, intricate steps. Fluid movements. Each day. Each night. In sunlight, starlight, to a melody all her own. Mother India. Like the mother who gave you life. She soothes your heart while wishing, waiting patiently for a child too old, too busy to pause. She welcomes you without hesitation, providing a warm place for your head, your soul. A mystical magical world, evoking wonder. A land and people of color, of scent, of softness, of spice. You’re free to lose your self, finally, in the beauty of life. Come home. To sweet, sweet India.